SM Entertainment and group JYJ‘s (Kim Jaejoong, Park Yoochun, Kim Junsu) contract dispute has come to an end after 3 years and 4 months of long legal battle. According to several legal circles on November 28th, SM Entertainment and JYJ have agreed to end all contracts signed between the two parties as of the date of injunction request date of July 31st, 2009. The two parties have signed an agreement to drop all lawsuits and to put all stops to interference in future activities from here on. Wonder Girls leader Sunye announced her wedding plans. The Wonder Girls debuted in 2007 and Sunye has been leading the team for almost 6 years now. It has been relayed that Sunye has informed the fellow Wonder Girls members and JYP Entertainment of her decision recently. The Wonder Girls as well as JYP Entertainment understand that the decision is based on Sunye’s careful considerations and respect her decision. Sunye is expected to dedicate herself to her married life for a while and other members of the Wonder Girls (Yubin, Yeeun, Sohee, and Hyelim) will concentrate on their individual efforts, be it acting, producing, solo album, or TV. 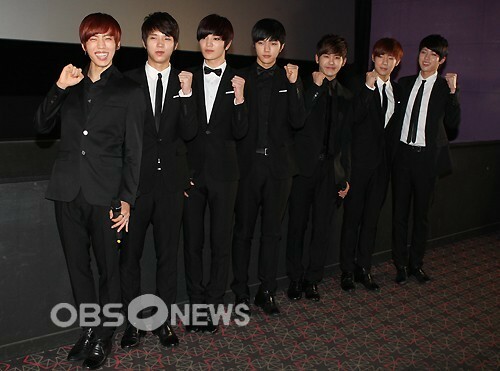 We’re expecting to see unit activities of the popular male idol group Infinite only next year. Lately, the news that Infinite and the popular music producer, Primary, finished working on a CD are spreading; the possibility of Infinite’s unit promotions is raised on Infinite’s fansites and on every online community’s boards. The representant of Infinite’s company, Woollim, stated about it on the 12th, in the afternoon, to OBS Plus “It is true that they worked on songs with the producer Primary”. But this representant said “We’re not at the state where the recordings are ended nor have we set definite plans about the unit promotions” and“We’re planning to release a CD but the unit promotions are still undecided. If they get to promote it, you might be able to see it next year”. Lastly, the representant added “We can’t reveal yet who are the two members who will have unit activities but we’re still asking you a continuous interest for Infinite”. On the other hand, Infinite are focusing on their individual activities as the song ‘Shine’, of the leader Sunggyu’s first solo debut album ‘Another Me’, was released on November 7th and it gained the upper ranks on each music site when it got released, and L is, as expected, showing an enthusiastic acting for the MBC Sunday sitcom ‘What Is Mom’. This is NH Media. This is an announcement regarding to the completion of U-KISS’s “Stop Girl” promotions, amongst other news. Last month, U-KISS promoted temporarily as a 6-member group, without AJ, for their 7th mini-album; a meaningful period for everyone. We are sad to announce the completion of this meaningful promotion period. Usually U-KISS holds a goodbye greeting in the very last week of promotions. However, due to unforeseen circumstances of broadcasting, we cannot organise the final greeting. The members and staff are equally as disappointed that we were unable to meet each other for the last time. We hope that Kiss Me can be understanding towards our situation of the final broadcast. We will put in more effort to create more opportunities to meet on stage during the next album promotions. U-KISS will be embark on their South American tour in Peru after their remaining domestic activities. After Peru, there is a scheduled performance in Malaysia. And finally, after Malaysia, they will once again begin their Japanese activities. It is planned, after their Japanese activities and AJ’s return next year, for U-KISS to release their next Korean album. The details have yet to be confirmed, and we will post another announcement when it has been finalised. Lastly, we’d like to thank Kiss Mes for showing such immense support towards the 7th mini-album ‘Stop Girl’. We will work harder so that there will be more opportunities to meet on stage and through broadcasts for the next album. You know that U-KISS’s official fan cafe is always open for 365 days a year, right? Whenever there is U-KISS news, everyone is quick to spread the information! Being everyone’s first love, miss A’s Suzy kissed quite a few men during her career, but when asked which one stood out the most, she only had one answer. On October 25, Suzy appeared on KBS Happy Together along with Haha, and comedians Park Soo Hong and Song Eun I. She was asked on the show which on-screen kiss was most memorable to her, and she replied that the kiss with Kim Soo Hyun in KBS’ Dream High stood out the most. Suzy also touched upon her ‘first kiss’ with Lee Je Hoon in the movie Architecture 101, where Lee Je Hoon kisses Suzy while she’s asleep with her head on his shoulder. Just before the release of its full album, the group has racked up anticipation by ranking high on most music charts with its preview track, It′s Cold. It′s Cold drew interest by showcasing the familiar Epik High brand of emotions and seasonal moods, along with a new set of attractions for the new phase of the group coming three years since its last. The two promotional singles Don′t Hate Me and Up, to be revealed with the rest of the album, are also gathering attention, Up especially for featuring 2NE1 Park Bom′s vocals. The album marks Epik High′s new start with YG Entertainment, and the members collaborated with YG producers Choice 37, Choi Pil Kang and DEE.P to prove it. Epik High will start promoting with its performance on SBS′ Inkigayo on October 21. Its offline album will be made available from October 23.